Site-specific, sky blue fabric curtains were designed and hung in the 32 windows of the far west rotunda of the Thomas Kirkbride designed Fergus Falls Regional Treatment Center aka the Third Minnesota State Hospital for the Insane. As windows are a two way point of access, this installation considers the use of curtains on the outside of the building as a suggestion and experience of visual as well as physical control between the exterior and interior spaces of the institution. 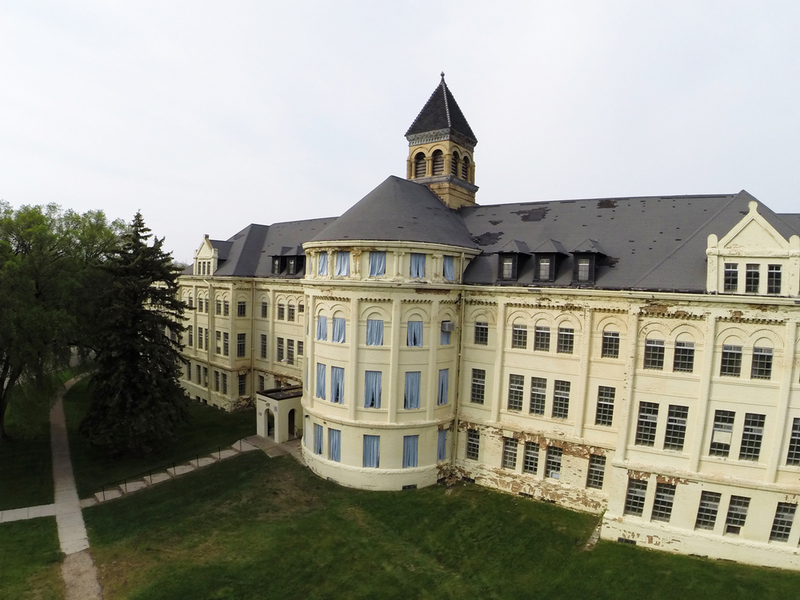 More information about the history of the Kirkbride buildings and the Fergus Falls Regional Treatment Center can be found here.